My latest project … giving back to the community. During the recent food drive period, our Church was collecting for 25 needy families in our town. I looked at the church bulletin and re-read the paragraph again. In previous years it was also a collection not only for the needy in our town, but also for a communal county food drive. This time, it was just for the needy in our town. Wow … So many needy families in our town? I didn’t expect that. Is our town really faring so bad these days because of the economy? And so, to give back to the community, I am organizing a winter items collection for the 25 needy families in my town. A hat and scarf set would be nice. If not, then enough hats and scarves for the whole family. I think your hat is very nice and I bet it will warm a cold head in the winter. Thank you for stopping by and leaving a comment. It is much appreciated. Do you have a pattern for the hat? I was thinking I could post it as an idea of a hat that somebody could use when they donate. 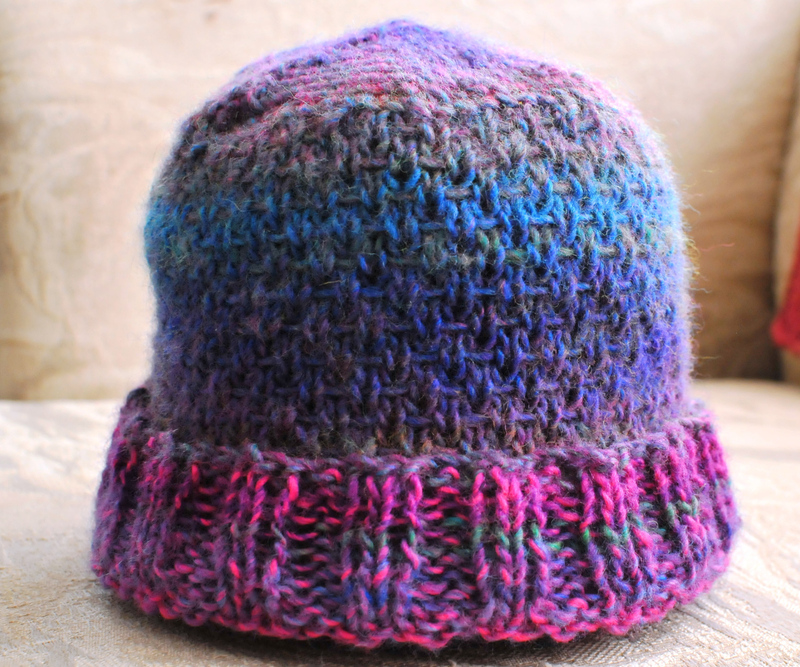 I am in the process of setting up the blog for Oregon’s Hats for Hope and free patterns is one of the pages I want to set up. Thanks. Do you mean a pattern for this hat in this post? Or the NYC-HHI Hat that I’m writing out?